Celebrate at Casa Guadalajara or let us cater your at-home fiesta. 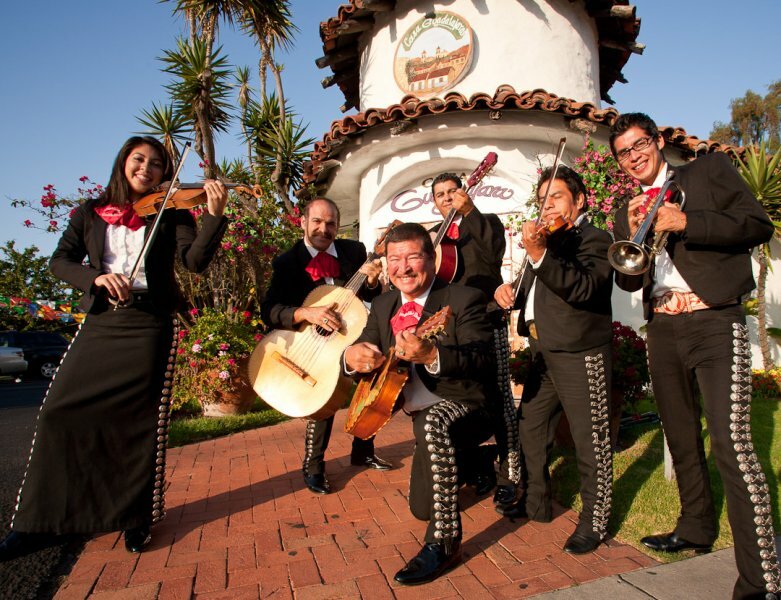 Join us at Casa Guadalajara May 3-5 for several days of strolling mariachis and Folkloric dancers, tasty food, and drink specials! Festive entertainment will begin at noon Saturday, Sunday and Monday with Troubadours, followed by mariachi and Ballet Folkloric performances. 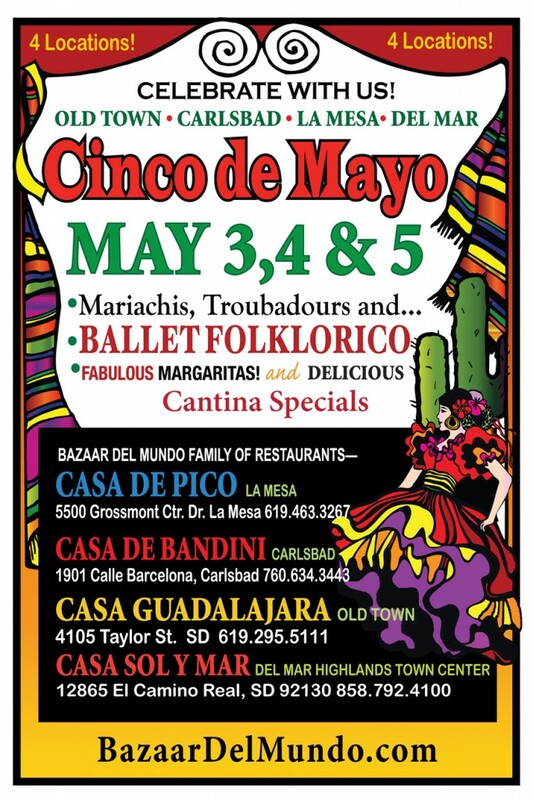 On May 5, drink specials will start at noon in the Cantina, with promotions including Margarita de Cointreau for $5.95 from noon to 2 p.m., MargaFrida (Frida Kahlo margarita) for $6.95 from 4-6 p.m., Herradura Silver Shots for $5 from 6-8 p.m., and Herradura Skinny Margarita for $6.95 from 8:15-10:15 p.m. Saturday, Sunday and Monday, some of our most popular antojitos (appetizers) will also be on special in the Cantina, including the Cheese Quesadilla, Nachos Chicos, Tostadita and Taquitos Chicos for $4.95, and Mini Ceviche for $5.95. Visit our website for catering information: www.casaguadalajara.com. Celebrate Cinco de Mayo in 4 Locations!